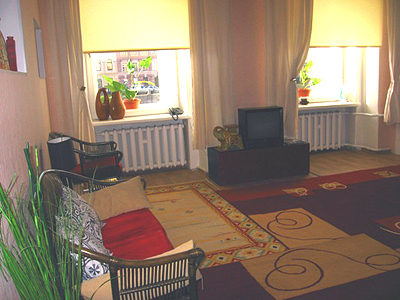 Apartment is located nearby Anichkov Brigde, all the windows face Fontanka river embankment. This comfortable spacious 1 room apartment looking Fontanka river is perfect for couple. There is 1 king-sized bed in the bedroom. Apartment i sfully equipped. Big Dramatic Teatre, Michailovskiy palace, Russian museum are located very close to the apartment.